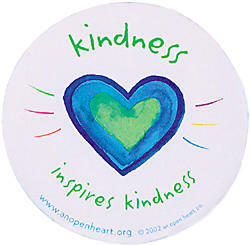 I love these because in them we see that an act of kindness is a reflection of what is in our hearts. We are kind when we are acknowledge people's struggles.. when we give them a helping hand.. when we believe the best about them.. when we listen.. when we get past our dislikes.. and when we let go of our needs to meet the need of another. How about you? What do you think kindness looks like? This is beautiful. Indeed, expressing and showing kindness is a true demonstration of Love, wrapped with compassion, thoughfulness and acceptance. I love these quotes...all of them. Such words of Wisdom and Truth.